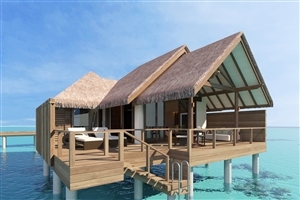 Nestled on an island in the Raa Atoll, Heritance Aarah is a Maldivian paradise embraced by the sea and blessed by the golden sun. Designed with luxury throughout, the resort is the perfect place for any and all travellers to unwind in style. With everything from water sport activites, elegant dining venues and stunningly fitted accommodations to look forward to, even the most discerning travellers are sure to be impressed by what thus resort has to offer. 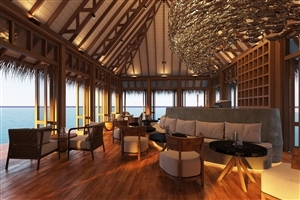 Designed with style, sophistication and attentive service in mind, Heritance Aarah lives up to its elegant designs by providing guests with the very best the Raa Atoll has to offer. Intricately furnished with a combination of tropical features and modern comforts, the resort is sure to impress even the most discerning of travellers. 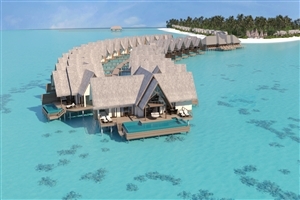 Choose from an overwater setting or a beachfront haven as you soak up views of the Maldives from a prime location. 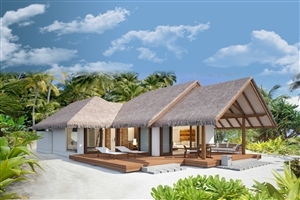 The Beach Villa offers guests 88sqm of accommodation space designed with a mixture of tropical details and modern conveniences. 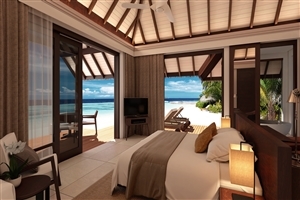 The villa features a private veranda and provides direct access to the beach. 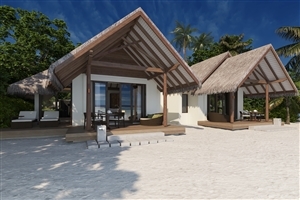 The Family Beach Villa offers guests 186sqm of accommodation space intricately designed for travelling families. 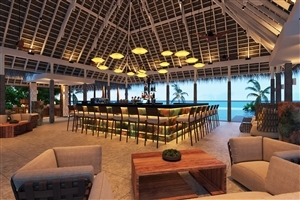 The villa features a private veranda and provides direct access to the beach. 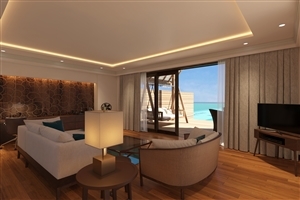 The Pool Beach Villa offers guests 93sqm of accommodation space designed with a mixture of tropical details and modern conveniences. 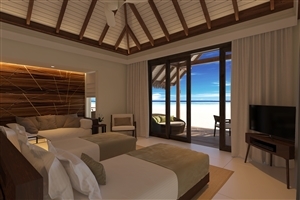 The villa features a private veranda, a plunge pool and provides direct access to the beach. 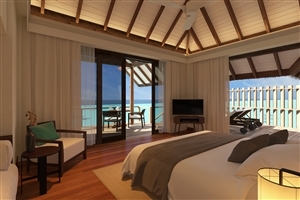 The Family Pool Beach Villa offers guests 186sqm of accommodation space intricately designed for travelling families. 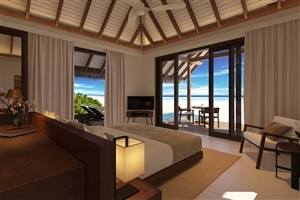 The villa features a private veranda, a plunge pool and provides direct access to the beach. 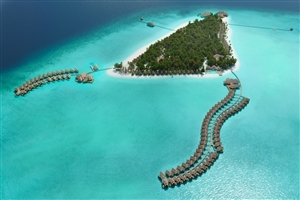 The Ocean Villa offers guests 93sqm of accommodation space situated above the shimmering lagoon. 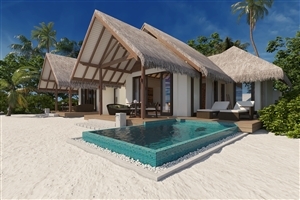 The villa features a private sun deck, a plunge pool and provides direct access to the lagoon's waters. 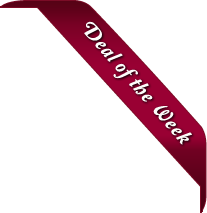 The Ocean Suite offers guests 158sqm of accommodation space intricately designed for travelling families. 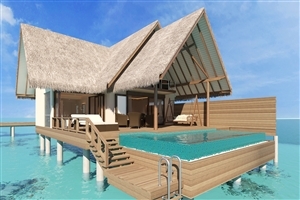 The villa features a living area, a private sun deck, a plunge pool and provides direct access to the lagoon's waters. Ambula – Sri Lankan tastes. Ginifati – Grilled seaside treats. Infinity Pool & Bar – Refreshing beverages. Private Dining – A memorable dining experience.